WASHINGTON — President Donald Trump’s proposed military parade could cost as much as $30 million, White House budget director Mick Mulvaney said Wednesday. Mulvaney’s comments were part of a testy exchange with California Democratic Rep. Barbara Lee, who railed against the budget’s deep cuts to social programs. The proposed budget requests $686 billion for the military and reflects Congress’s recent bipartisan budget deal. Earlier this month, White House and Pentagon officials confirmed reports that Trump has asked military leaders for the outline of large-scale parade to showcase troops and military equipment. Defense Secretary Jim Mattis said last week he was developing several options for the president, and the Pentagon has tasked the Army to be the executive agent for the effort. However, a recent Military Times poll found that the vast majority of respondents oppose the idea for a parade. With almost 98,000 people voting as of Wednesday, the majority, 88 percent, said the military has more important needs to address. Democratic lawmakers have introduced measures to stop a parade, calling it a waste of time and resources. 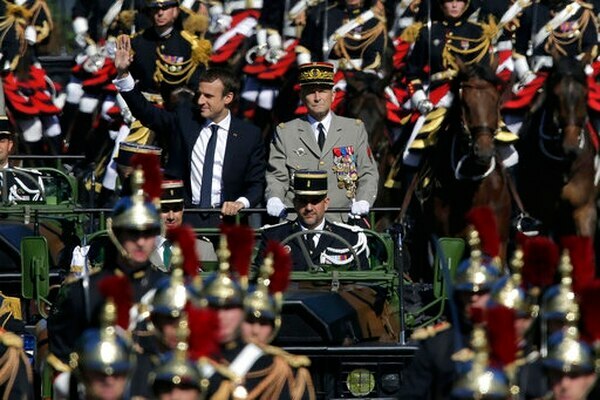 “We actually have had military parades in this country before. We actually had one in the 1990s,” Mulvaney said. Mulvaney said the parade costs would be determined by the length of the parade, for example whether it lasted one hour or five hours, which would increase the number of troops and equipment needed for the event. Lee pressed on who would decide on the parade — and who would pay for it. “If who decides to push forward, you mean the president?” Lee asked. “Yes, ma’am, that’s who I work for,” Mulvaney said. Mulvaney acknowledged that Congress would have to approve the funds. “But, of course, you’d have to appropriate funds for it,” Mulvaney said. Military Times Capitol Hill bureau chief Leo Shane III contributed to this report.